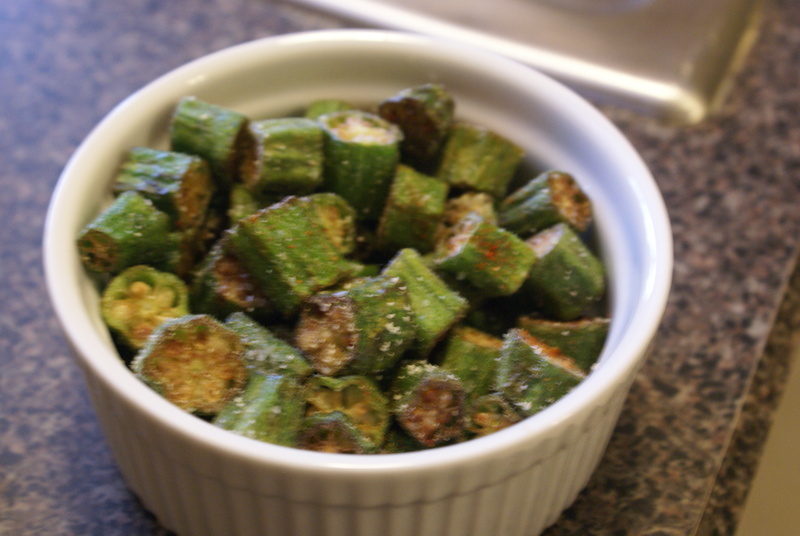 Let me guess — you don’t like okra, right? You think it’s slimy, don’t you? Shallow- or deep-fry 1/2″ pieces all by themselves, and you’ll wind up with a revelation. 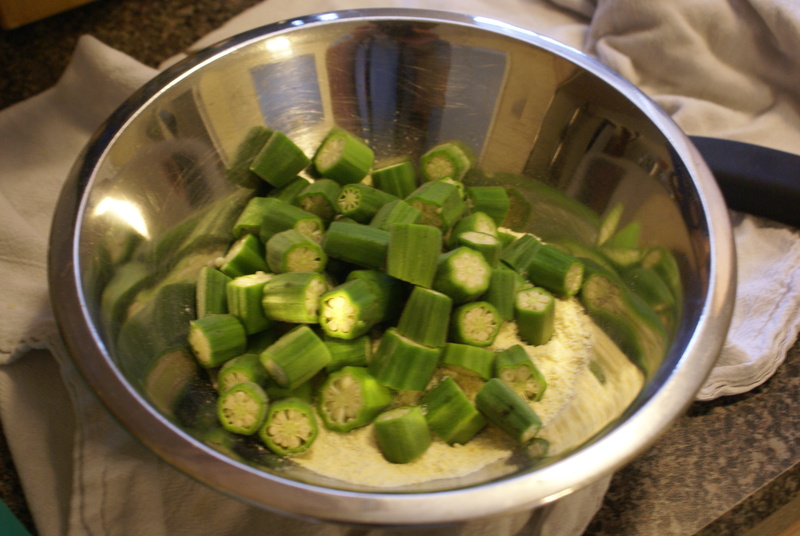 You can even toss them in a little flour or cornmeal beforehand. 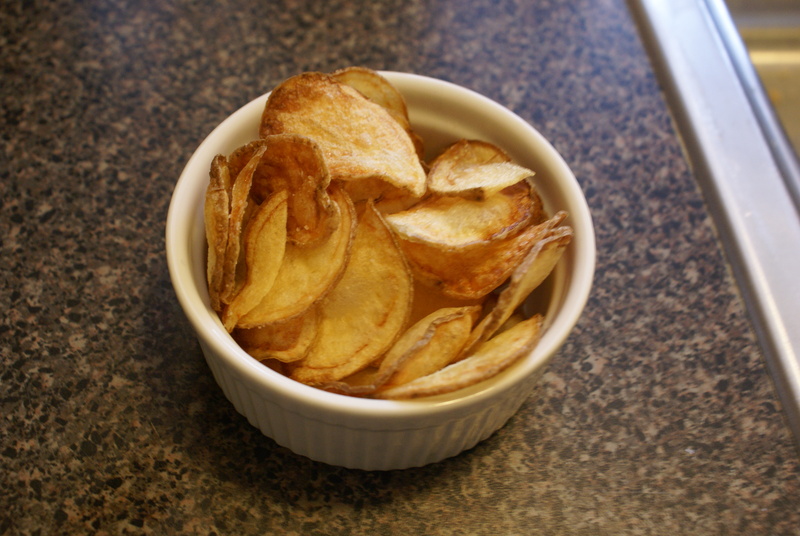 And while you’ve got that scorching oil on, why not fry up your own potato chips. 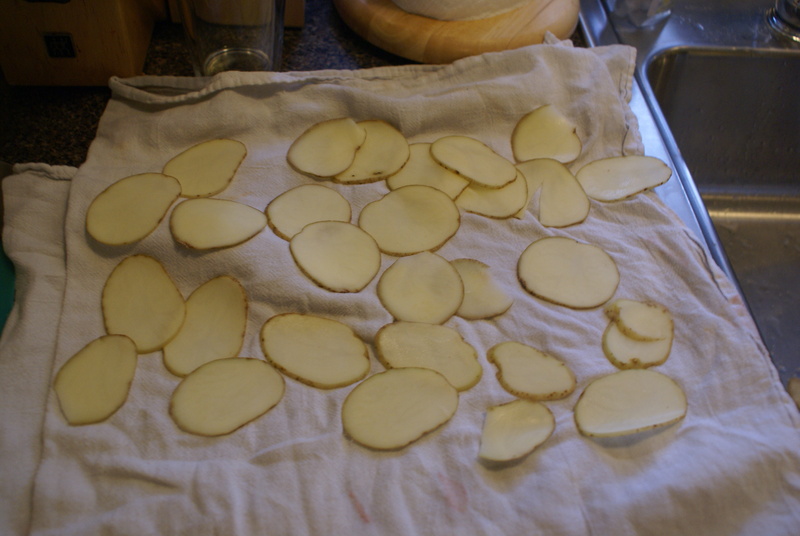 Uniformly slice a few potatoes (use a mandolin, if you’ve got one) and fry till light brown.